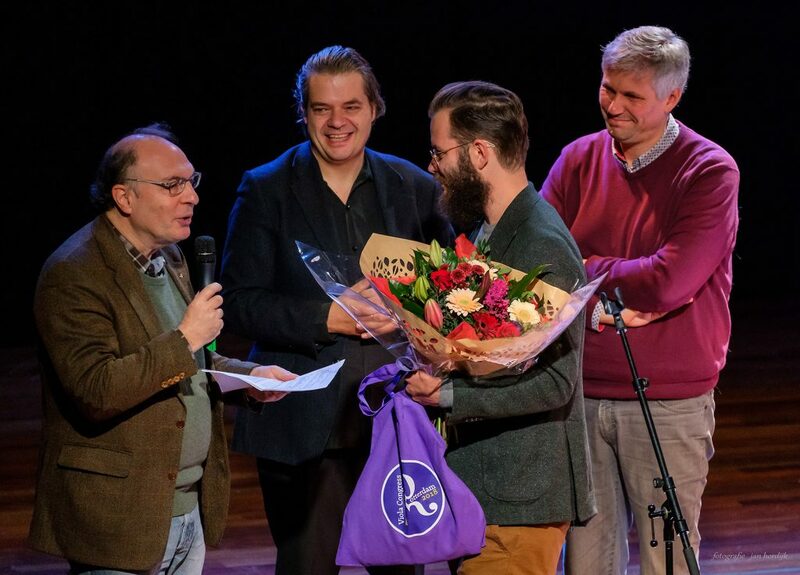 The results of the 4Viola Competition Contest were announced during a special event during IVC2018 in Rotterdam. More than 100 composers from from 27 different countries registered for this contest, eventually resulting in an overwhelming 86 scores to be judged by the jury. The 4Viola jury, consisting of Leo Samama (chairman and composer-in-residence), Jeppe Moulijn and Mikhail Zemtsov had the difficult task of making the selections. In the Student/Professional category, the Rotterdam-based composer Aart Strootman won with the piece “Anachronism #4”. He also receives a €500 cash prize. The runner-up in this category was Nathan Palotto with the composition “Solar Rain”. In the Amateur category, John Whittaker (from the UK) won with the piece “A Modal March for 4 Violas”. Runner-up amateur composition was “Nightwing” by Randall Snyder. 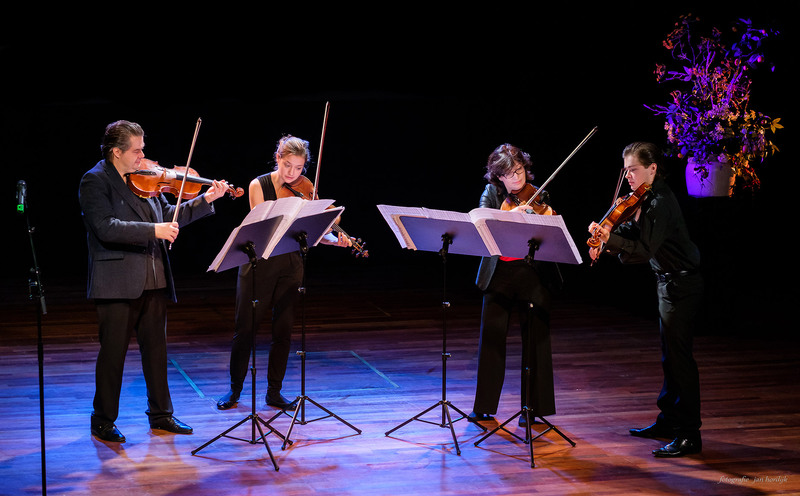 Both winning pieces were premiered live by the Zemtsov Viola Quartet during the brief ceremony in the Hofpleintheater, before an audience of more than 100 violists and viola music enthusiasts. 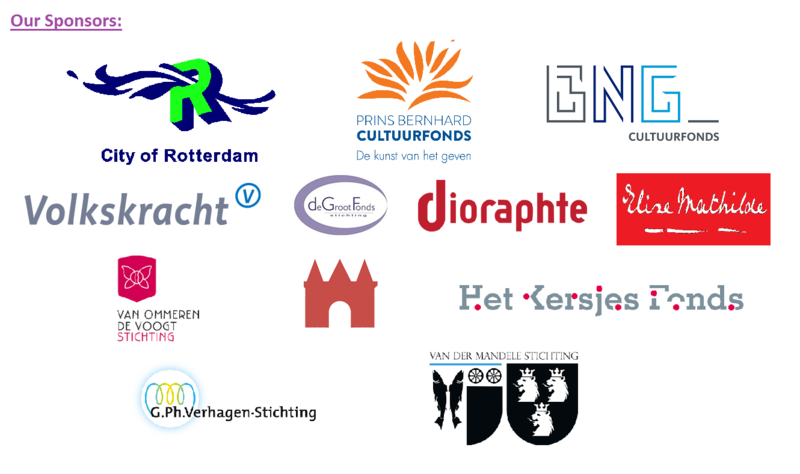 The jury and the Dutch Viola Society are impressed by the widespread enthusiasm for compositions in this genre (viola quartets). Based on this knowledge, the DVS feels encouraged to host similar viola-ensemble composition contests in the future. Congratulations to the winners, and thanks to everybody who submitted scores! IVC2018 Crowdfunding Campaign Kicked-off: Help us!